Is there a better alternative to BatchOutput DOC? Is BatchOutput DOC really the best app in Applications category? Will BatchOutput DOC work good on macOS 10.13.4? 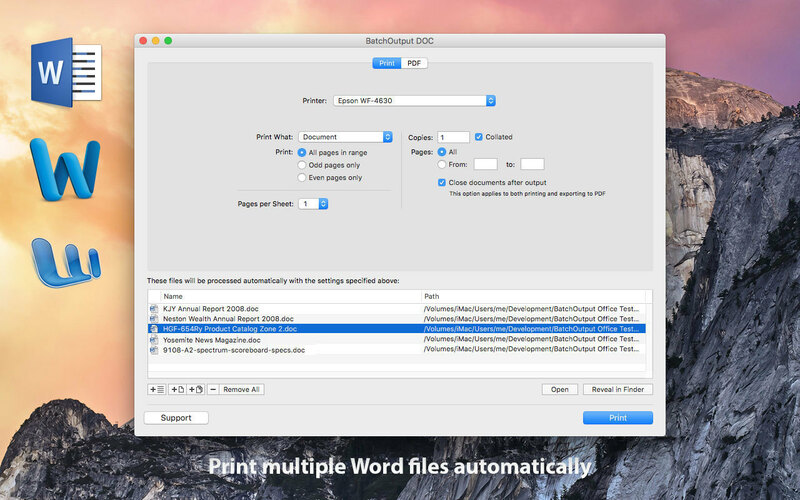 Fixed an issue in which PDF files created with Word 2011 could not be open. This issue happened due to a bug introduced in latest updates of Word 2011. BatchOutput is also available for Microsoft Excel (BatchOutput XLS), PowerPoint (BatchOutput PPT) and Adobe InDesign (Output Factory).